And Viggo Mortensen as a gun-toting William S. Burroughs! Francis Ford Coppola's 30-year struggle to bring Jack Kerouac's legendary novel to the big screen is finally a reality, and there's a trailer to prove it. Coppola served as executive producer on the film, which was directed by Walter Salles ("The Motorcycle Diaries"), and adapted by Jose Rivera. It stars Sam Riley as Sal Paradise (aka Jack Kerouac) and Garrett Hedlund as Dean Moriarty (Neal Cassady in real life) as two friends who take to the highways on three occasions from 1947 to 1950. There's no point rehashing this book's influence on American culture, as it touched almost everything that mattered in the world of rock, film, literature and photography for the next 30 years. But with such a legacy comes a massive responsibility for the film to get it right. Riley's accent as Paradise seems good, though it remains to be seen if Hedlund possesses the manic energy to Moriarty/Cassady. 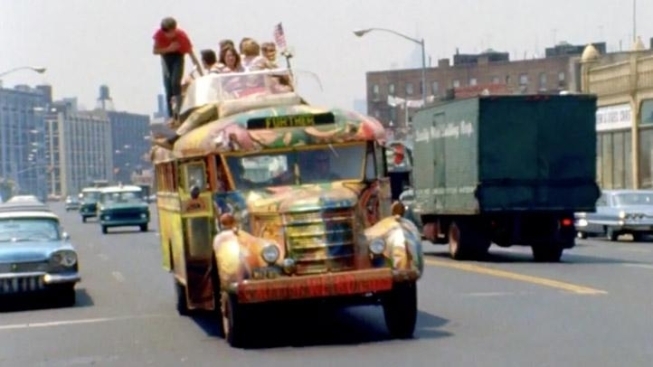 For a sense of just how crazy Cassady really was, we strongly encourage you to check out Alex Gibney's documentary, "Magic Trip," about the cross-country journey made by Ken Kesey and his Merry Pranksters, which will you also give an idea of what a grump Kerouac was by the mid '60s. The trailer doesn't convince us that Salles has gotten the story right, but it also doesn't stink of disaster. The film opens in England this fall, but there's no U.S. date yet.